MANJEET S. JOLLY is the Director of the Central Tasar Research Station, Ranchi, India. S.K. SEN is Senior Research Officer, Breeding and Genetics, at the Station, and M.G. DAS is Horticulturist. Silkworms are notoriously finicky eaters: they must have mulberry leaves. But not all of them. Wild sericulture is traditionally practiced in India and China with silkworms which feed on the leaves of a large variety of naturally grown forest trees. The authors describe the Indian tasar silk industry and the way it is being made more economic through management and the use of interspecific hybrid moths. Most people think of silk as being produced by domestically reared caterpillar larvae (Bombyx mori) which must be fed exclusively on the leaves of white and black mulberry trees. Most, but not all, commercial silk originates this way. In India, the extensive cottage industry concerned with silk weaving gets its raw material from so-called tasar silkworms that feed on the leaves of a variety of trees which grow wild in tropical, subtropical and temperate zones. For centuries Indian raw silk has been gathered by the families of forest and hill tribes. The economic significance of their work can be seen in the fact that the country's current output of tasar silk now accounts for export earnings of US$4.4 million annually. Tasar silk has been produced for a very long time. Outside of India it may be called tusah, tussore, tusser or tussur silk. The uneven tan filaments are coarser, stronger and shorter than the normal cultivated silk and it is used in fabrics such as pongee and shantung. A distinct belt of humid, dense forest sprawling over the central and southern plateaus at an elevation of 600 m is the home of tropical tasar. It extends through the states of Bihar, Madhya Pradesh, Orissa and Maharashtra and touches the fringes of Andhra Pradesh, Karnataka, West Bengal, Manipur and Assam. The temperate tasar belt, at an elevation of 700 to 2200 m, on the other hand, includes the states of Jammu and Kashmir, Uttar Pradesh, Himachal Pradesh, Meghalaya, Manipur and Assam, while West Bengal, Arunachal Pradesh and Nagaland rank next in importance. This oak tasar zone was established on a production basis in 1973. Tasar silk culture is known as wild or forest sericulture. More than a hundred thousand tribal families are at present engaged in the tropical tasar zone, and the temperate tasar zone promises full and part-time employment for about 1 million people. Tasar silk is secreted by several species of the genus Antheraea (Saturniidae). India alone has at least eight species: A. mylitta, A. assamensis, A. sivalika, A. roylei, A. compta, A. helferi, A. frithii and A. andamana (Jolly et al., 1968). Out of these only A. mylitta has been exploited commercially and is the chief producer of tasar silk in the tropics. It exists in the form of nearly 20 eco-races of a uni-, bi- and trivoltine nature. The temperate tasar insect is an interspecific hybrid (A. proylei, Jolly) evolved by crossing indigenous A. roylei Mr. (n = 30) with its Chinese counterpart A. pernyi G.M. (n = 49). The proylei silk is the finest tasar silk ever produced in India, and the insect has outrun its parents both quantitatively and qualitatively (Table 1). Apart from being an achievement of great economic interest, the synthesis of A. proylei is a unique example of interspecific hybridization in insects, which, in spite of a great disparity in the chromosome numbers of parental species, has been successfully maintained internationally in the descending generations (Jolly et al., 1973). The polyphagous nature of the tasar silkworm is a boon to the rearers. A. mylitta feeds primarily on asan (Terminalia tomentosa), arjun (T. arjuna) and sal (Shorea robusta), and nearly two dozen food plants of secondary importance have been recorded as well, the more important of which are Zizyphus mauritiana, Terminalia paniculata, Anogeissus latifolia, Syzigium cumini, Careya arborea, Lagerstroemia parviflora and Hardwickia binata (Jolly et al., 1968). In India, T. tomentosa is widely distributed as a common tree. S. robusta is abundant throughout India except in a few low-lying tracts. It ascends to the tops of high mountains and also occurs in higher coastal areas (Hairs, 1921). A. proylei is mainly reared on oaks such as yung (Quercus serrata), banj (Q. incana), sahi (Q. dealbata) and moru (Q. himalayana), while about four oak species of lesser importance for it are also known (Q. flex, Q. semicarpifolia, Q. semiserrata and Q. glauca). In India the genus is distributed along the western sub-Himalayan range, between altitudes of 1300 and 2200 m, and in the eastern hilly tracts at altitudes between 700 and 1600 m. Both areas constitute the temperate tasar zone. In the tropical belt the tasar food plants cover an area of 7.7 million ha, while in the temperate zone nearly 0.8 million ha of oaks are available. The average income per family for traditional rearers is $2530 per year. However, new techniques of rearing evolved at the Central Tasar Research Station at Ranchi (Table 2) can now ensure a handsome income of about $250 within 40 to 45 days (Jolly, 1973). Similarly, the techniques of rearing evolved for the oak tasar zones have been found to be very successful. In the traditional practice the tasar larvae feed on irregularly distributed food plants in forests or along the embankments of paddy fields. This creates management problems resulting in losses due to pests, diseases and natural hazards. Recent research carried out at Ranchi has developed an economic plantation method with close spacing. A large increase in foliage productivity has been recorded with a spacing of 122 cm in either direction, and with the kind of record yields of 17.2 tons per ha now being achieved a net return of $497.50 per ha per year (Table.3) through tasar culture can be anticipated, even under rainfed conditions where the soil fertility is submarginal (Des et al., 1974). This type of economic plantation would invariably reduce the amount of labour required, since overlapping twigs will permit the silkworms to move from one plant to another instead of being transferred by hand. The tasar industry provides Democratic tremendous scope for future extension in many parts of the world. The species of Antheraea are widely distributed in Indo-Australian and Palaeoarctic regions extending eastward from India to the Philippines through Viet Nam and also dispersed throughout Democratic Kampuchea; southeastward to Australia through Sri Lanka, Singapore, Malaysia, Indonesia and New Guinea; northeastward to China, Japan and Amurland (U.S.S.R.) and westward to the United States and Latin America. Nearly 36 species and 40 forms are known in these regions. The genus Terminalia consists of about 250 species found within Sri Lanka, India, Burma, Lao, Democratic: Kampuchea and some parts of Viet Nam, and also extends through Indonesia, Malaysia and New Guinea up to Australia. Some of its species are also reported in the African continent. The genus Shorea has dozens of species widely distributed throughout the world. Quercus is a very large genus of some 300 species growing throughout the temperate regions of the Northern Hemisphere extending to the tropics of Latin America in the west and Malaysia in the east. It is to be noted that out of this vast trasure of tasar flora, only 1015 percent have been examined with reference to the tasar industry in India, while out of numerous tasar insect species and forms only three or four have been put to use. The main tasar silk-producing countries of the world today are China and India. India ranks after China, with an annual production of about 400 tons of tasar raw silk and 200 tons of silk waste (Jolly et al., 1974). Tasar silk has appeared in the export market quite recently. The export figure reached US$2.6 million in 1973. The major markets are the Federal Republic of Germany, the United States and Japan. Foreign exchange earned through the export of tasar silk waste in 1973 was $1.8 million. The forests which provide food for tasar silkworms are now being utilized in India mainly for fuel and timber, which are of less economic importance than the returns from silk. If these forests were completely diverted to tasar silk production they could provide a significant increase in income for a vulnerable section of society, as has already been shown. There would also be environmental benefits. Woodlands utilized for tasar silk production are protected from deforestation, which in turn benefits soil and watershed conservation and management. Wherever tasar culture is practiced, the trees are better cared for in general. Silkworm excrete and dead remains also enrich the quality of the soil. The hundred thousand tribal families engaged in tasar silk production in the traditional belt are a very small percentage of the total tribal population in India. The temperate zone of India alone can provide employment for nearly 1 million people. We believe that we have shown during the past 10 years at our research station that the tasar silk industry has a significant agri-silvicultural potential for many forest-rich developing countries, and in particular for countries which wish to create employment and raise the standard of living of forest-dwelling peoples who may be lagging behind the rest of the country. INDIA. CENTRAL SILK BOARD. 1966 Tasar silk industry in India, p. 6-21. Bombay. JOLLY, M.S. 1970 Oak oriented tasar culture in the offing. Indian Silk, 8: 3-5. JOLLY, M.S. 1973 A new technique of tasar silk-worm rearing, p. 5-10. Bombay, Central Silk Board. JOLLY, M.S. 1974 New dimensions of tasar industry in India. Indian Silk, 12: 83-86, 89. JOLLY, M.S., CHATURVEDI, S.N. & PRASAD, S. 1968 A survey of tasar crops in India. Ind. J. Sericult., 7: 56-57. JOLLY, M.S., SEN, S.K. & AHSAN, M.M. 1974 Tasar culture, p. 1-17 and 86-106. 1st edition. Bombay, Ambika Publishers. JOLLY, M.S., NARASIMHANNA, M.N., SINHA, S.S. & SEN, S.K. 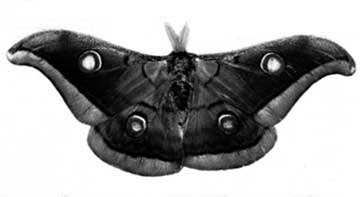 1969 Interspecific hybridisation in Antheraea. Ind. J. Hered., 1: 45-48. JOLLY, M.S., SINHA, B.R.R.P. & SINHA, S.S. 1973 Interspecific hybridization in Antheraea (Lep. Saturniidae) with special reference to A. roley Mr. and A. pernyi G.M. Proc. XII International Silk Congress, Barcelona. RANCHI, INDIA. CENTRAL TASAR RESEARCH STATION. 1974 Discovery of new field of tasar on oak and its impact on national economy, p. 1-3. Ranchi.